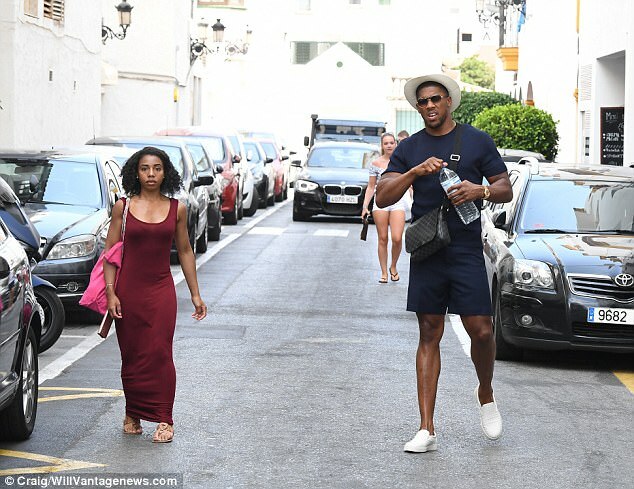 Anthony Joshua has been spotted for the first time since smoothing things over with Amir Khan following accusations the British heavyweight boxer had an affair with his wife. 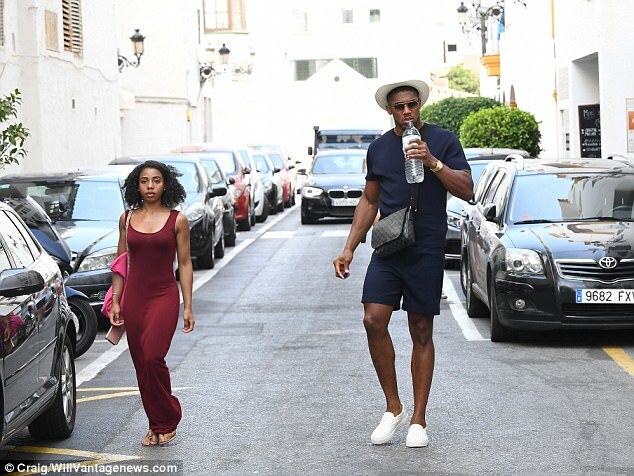 The 27-year-old was spotted on holiday in Spain with a mystery woman as he sauntered down a quiet road in Spain over the weekend dressed in navy and a cream sun hat. 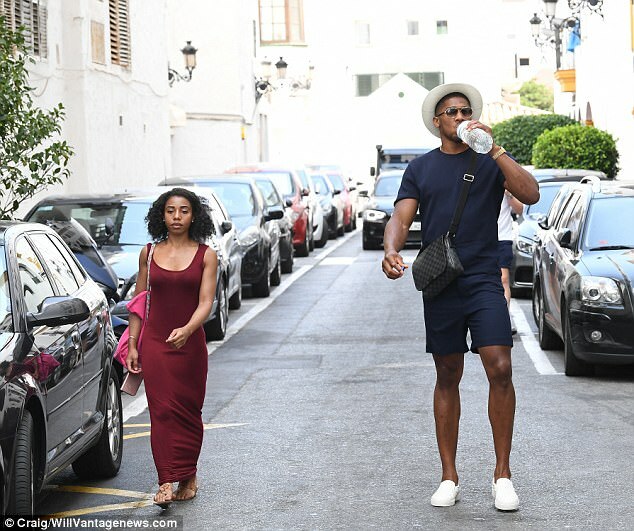 Joshua is enjoying some time away from the spotlight after he became embroiled in the public break-up between Khan and Faryal Mahkdoom, who was accused by her husband of having an affair with the undefeated boxer. 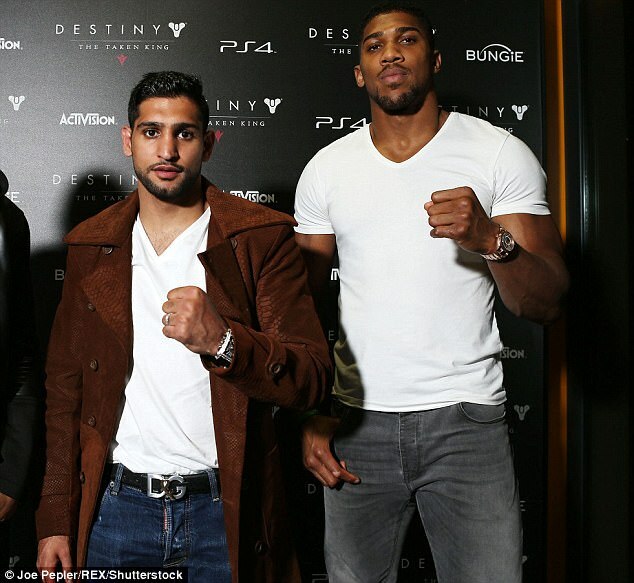 Joshua took to Twitter on Saturday to confirm that he has made up with Khan since the sensational public spat between the boxer and his wife earlier this month, after it was revealed Khan was threatened with legal action. 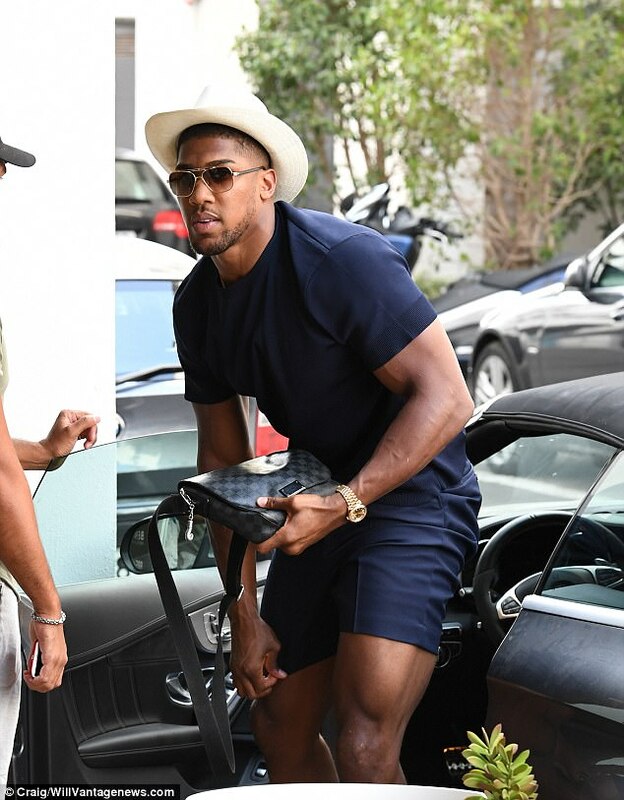 Joshua was accused of having an affair during the foul-mouthed tirade strewn across social media, but having initially shared a clip of the Shaggy song ‘It Wasn’t Me’, the 27-year-old has cleared the air with his fellow boxer. 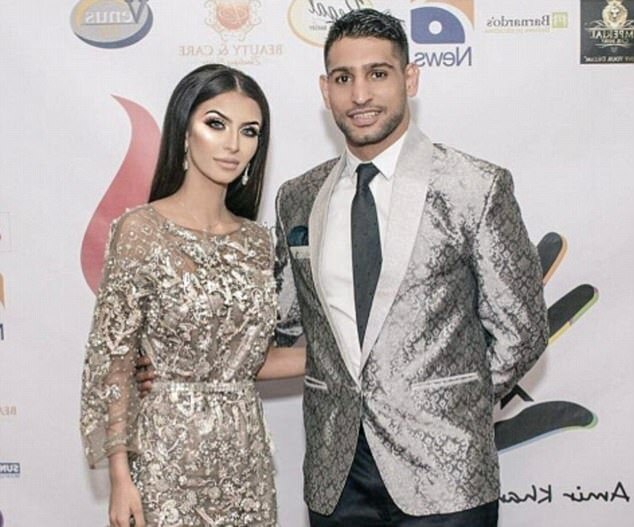 Ms Makhdoom had earlier described the events linking Joshua to her faltering relationship with Khan as a ‘misunderstanding’ during an online post on Saturday morning, claiming messages attributed to her and the boxer were fake. 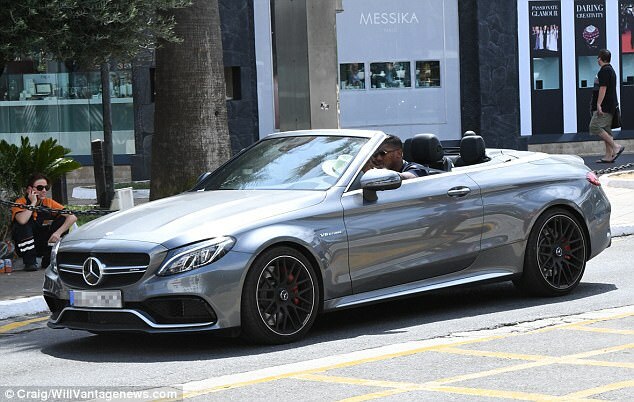 What is also not understood is the identity of the person Joshua was seen walking alongside in Marbella on Sunday, with the boxer also seen driving the woman in his Mercedes convertible along the quiet streets. 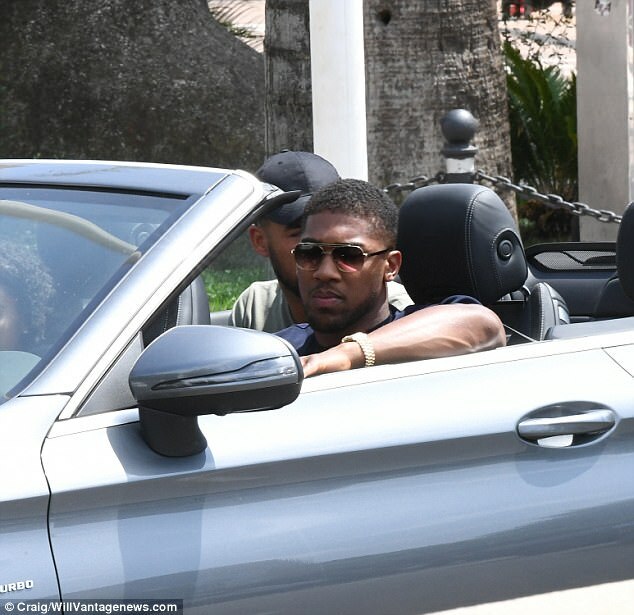 At the height of the tense Twitter spat, Joshua looked to diffuse the situation by writing: ‘Bantz (banter) aside, I hope you guys can resolve your situation or this is a hack as we have never even met! 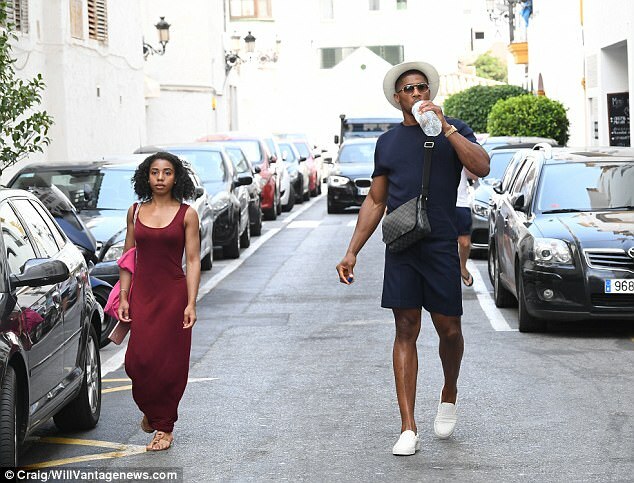 The IBF heavyweight champion’s love life has since gained heightened intrigue, but there is no suggestion he is romantically involved with the lady in the crimson dress. 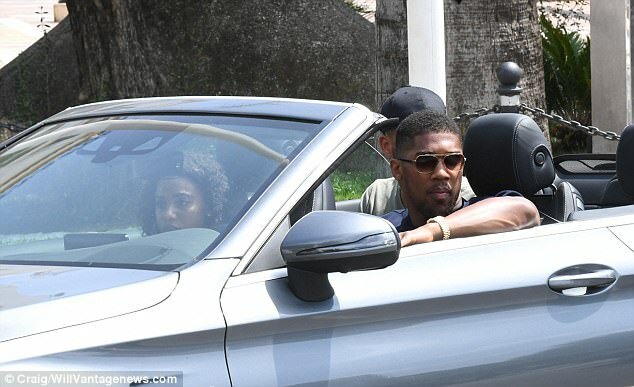 Joshua will learn next week whether the IBF will enforce a mandatory title defence against Kubrat Pulev, according to promoters for both fighters. 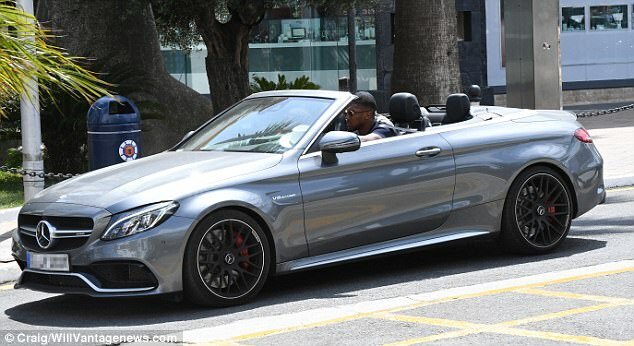 The unbeaten star successfully defended his heavyweight belt and added the WBA ‘super’ title following his sensational 11th-round stoppage win over Wladimir Klitschko at Wembley earlier this year. 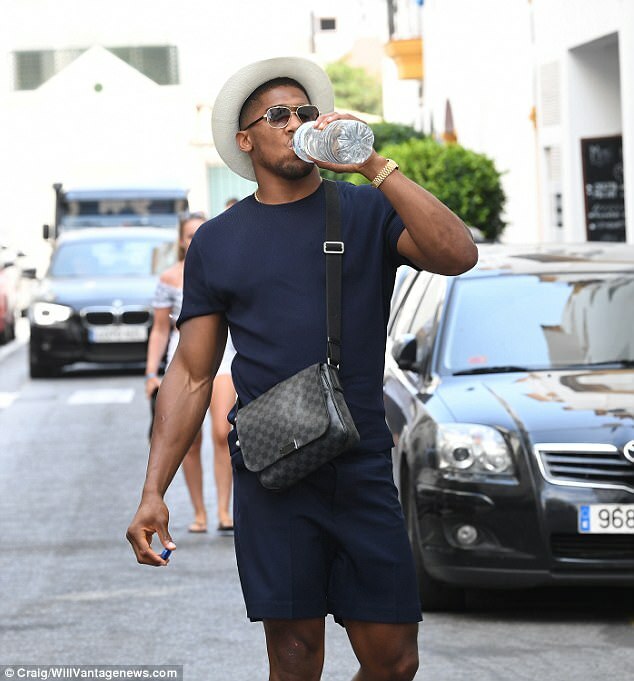 Promoter Eddie Hearn is considering a number of options for Joshua’s next fight, but with Klitschko out of the picture, an IBF title defence against Pulev, the No 1 ranked challenger is hotly tipped.